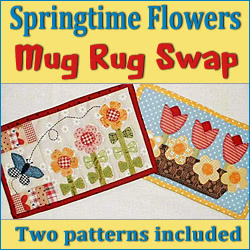 Hooked on Needles: Springtime Mug Rug Swap ~ Join the Fun! I couldn't help it! 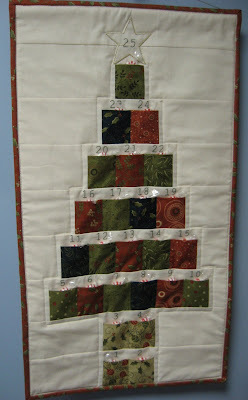 It's been far too long since I joined in the fun of a mug rug swap, and when I saw this one, I just couldn't resist! Just click on the swap banner above and read all about it. There is still time to sign up but you need to hurry. Who knows? Maybe we will be partners! I'd love to make you two pretty springtime mug rugs! 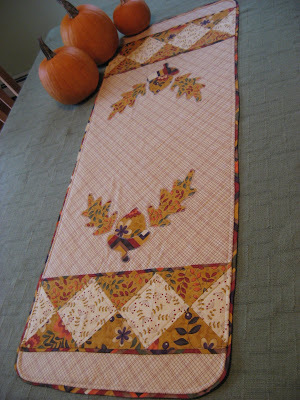 Want to see some of the mug rugs I've made for other swaps or just for fun? You can see them HERE, HERE, HERE, HERE and HERE. Love the mug rugs you have made. Hope you had a good St. Patrick's Day! See you and Mom are into tablecloth crochet, wondering if your mom might have some insight into helping me find a deep border for a tablecloth a friend is making, and no hint as to a pattern. Do you have a direct contact area? Thank you for what you are doing, keeping the vintage stuff alive and well. Hi Anonymous! If you google thread crochet, crocheted tablecloth pattern or something like that, you should be able to find lots of ideas. Also if you check Amazon for books on the same search criteria, or search Ravelry, you should find some sources. Michael's or other craft stores should also be a good source for books on thread crochet. My email is on the sidebar if you would like to email directly.